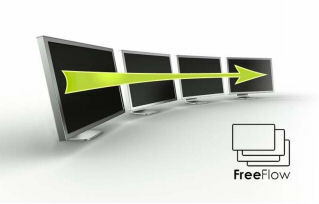 Adder Technology produce products which empower IT and AV Professionals to manage KVM and enable distributed remote control anywhere accross your systems. Adder video and extension technologies deliver reliable high definition video and CD Quality audio for many applications including digital signage. Please note Adder products are supplied with Adders Standard 2 Year return to base manufacturer warranty only. If your require a higher level of support on enterprise level products please contact us. We have very long standing history and loyal supplier arrangement with Adder Technology as they offer a paricularly high standard of both product and technical support, and we are pleased to be an Adder Premier Partner Supplier meaning we can offer you the highest levels of support, assistance and after sales services. KVM Choice are fully trained specialists on the Adder range and can offer expert advice and system planning / configuration. 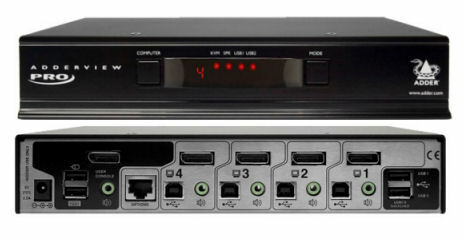 Compact Infinity system DVI KVM Transmitter only. For use with the Adder Infinity System. 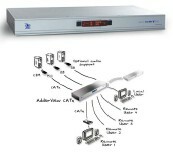 Compact Infinity system Display Port KVM Transmitter only. For use with the Adder Infinity System. 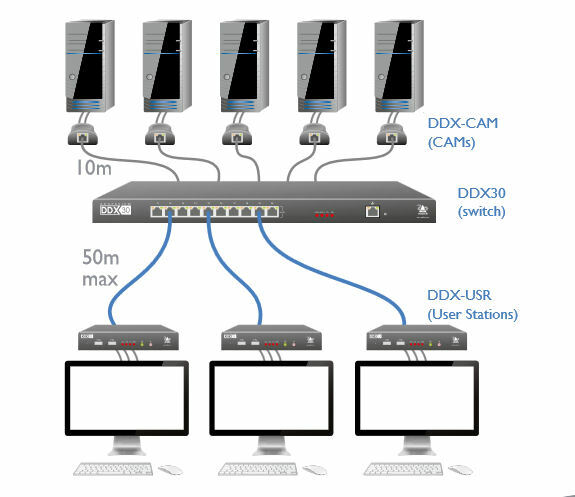 The world's first dual-head, high performance 4K IP KVM fiber extender & KVM switch system.